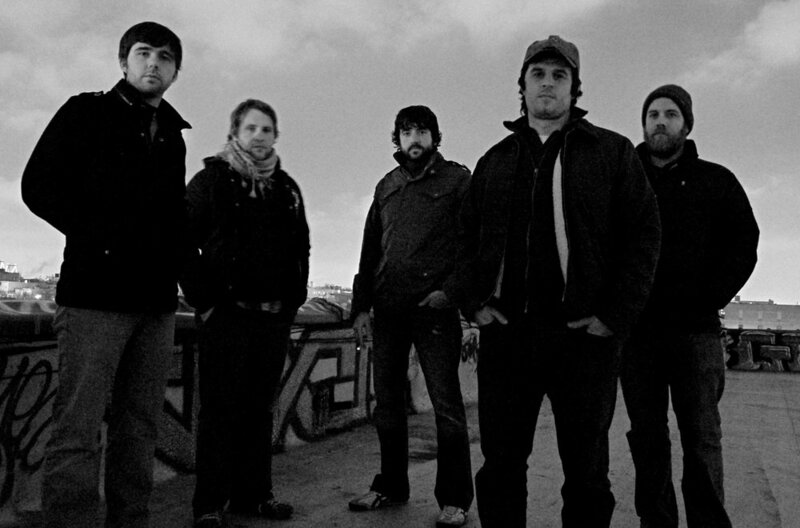 Ahead of Clerestory AV’s vinyl rerelease of Cheyenne’s 2005 album “I Am Haunted, I Am Alive,” songwriter Beau Jennings answered a few questions about the band and the record. Becky Carman: First, walk me through the history of Cheyenne. Beau Jennings: The band started with an EP I recorded in 2002 at Bryce Chambers' house, which was just burned onto CD-Rs and sold at shows. The band was mostly myself and a drummer, and we later rounded out as a four-piece and would play locally with occasional weekend trips up to Chicago, Kansas City or Dallas. At one of the KC shows, we met Nathan Reusch, who was starting a label called The Record Machine, and we decided to work together for “Haunted.” At that point, we had a more solid five-piece band and had begun recording a few songs at a then-new place called Blackwatch Studios [in Norman, OK]. It was a good reason to keep going and finish a full record. “Haunted” came out in 2005, and shortly after that, I moved to Brooklyn, and Heath Fisher [drummer] came with me. We found new members and released our second album in 2007 and did a little touring. We started work on a third album immediately after, but people started having babies and moving away, so I started to focus more on a solo record, which came out in 2008. That plus moving back to Oklahoma effectively put an end to the band, and although we did finally release the third album, “Kings County,” in 2013, we never played a show to promote it. BC: Why did it feel right to switch to a Beau Jennings solo project versus another Cheyenne lineup? Jennings: I think it was a combination of a few things at once. I'd lost the plot, so to speak, on the ‘Cheyenne sound,’ which is hard to define exactly. I'd say the “Haunted” record is what worked well in the beginning that I think I or we were always trying to get back to in some way that made sense. We'd turned into a louder rock ‘n’ roll band, which was immensely enjoyable but different and maybe a little less unique. So we were moving away from what people originally latched onto, and it made sense in my head to call it something else. BC: When was the last time you'd listened to this record prior to this rerelease project? Jennings: I actually put it on sometimes when my kids were younger because they seemed to nap better when dad was singing, and the songs were more slow-jam than maybe other things i've done. So not too long ago. But it'd been a while since I put it on for my own listening pleasure. BC: Any revelations or realizations about yourself as a songwriter then vs. now? Jennings: I used to be much braver to write about things I had no idea about, and I was not afraid to fill in blanks with my own imagination. I wouldn't do those things now. I'd like to think I've become a more disciplined writer, which is not to say a better writer necessarily. While I see a lot of swing-and-misses in early songs, there's a freedom and curiosity to explore that I hear in them that I hope I can recapture with newer songs. BC: How did the rerelease of the record with Clerestory AV come about? Jennings: Clerestory actually released a Cheyenne EP and 7" years ago when the label first popped up, and Chris [Stellman, label founder] and I had stayed in distant contact the whole time. I released my second solo album, “The Verdigris,” on vinyl and really enjoyed that process and saw that people preferred buying vinyl over CDs for the most part. At the same time, somehow it came up that we were coming up on the roughly 15-year anniversary of “‘Haunted.” “The Verdigris” felt to me in some ways a throwback to the “Haunted” sound, and I started daydreaming about it being rereleased on vinyl. This was about the time Chris told me he was firing the label back up, and it all just fell together real easy. BC: Did you have any hesitation about it? Jennings: Yes, I wondered how interested people would be in it. It was an idea that kept popping up though, and I just kept coming back to, ‘This should happen.’ Anytime I'd float the idea to friends it was always met with lots of support. It's still the record people seem most interested in or that seems to be a lot of people's favorite. BC: Where did the idea for having other musicians cover Cheyenne songs come from? Jennings: We were brainstorming things to do in conjunction with the release to celebrate it. Originally the idea was I would rerecord the album solo acoustic as a bonus, but that felt a little repetitive. One of my favorite things about the record was the community that developed around it and the friends I made who either helped make it or distribute it or who bought it. The covers idea came from there. BC: How did you choose the artists to be included? Jennings: There were no strict criteria. We reached out to bands and artists that had some connection to the band from that time period whose work we liked and who we knew would provide their own interesting take on the song. BC: What’s been the most surprising about hearing other people’s interpretations of your songs? Jennings: I love how some hard rockin' songs were turned into weepy ballads, the way John Moreland did. And vice versa, the way a slow, acoustic bummer turned into a fuzzed-out ‘80s jam the way BRONCHO did. Everyone made the song their own, and it's great to listen to them as brand new songs. They have new life for me. BC: What will the lineup be for the Cheyenne reunion show at Norman Music Festival? Jennings: A mix of some original guys and some guys from my current band, and some brand-new guys. Heath Fisher will play drums, and he's by far the longest-running consistent member of the band besides myself. Brine Webb will play bass, Dustin Ragland [Beau Jennings and the Tigers, Young Weather] will play keys, and Brady Smith [Slebs, Gentle Ghost] will play guitar. We may find a way to squeeze in some other past members as well. BC: What happens to Cheyenne next? Jennings: There are no plans. This is it. You can purchase the deluxe vinyl reissue of I Am Haunted, I Am Alive here.